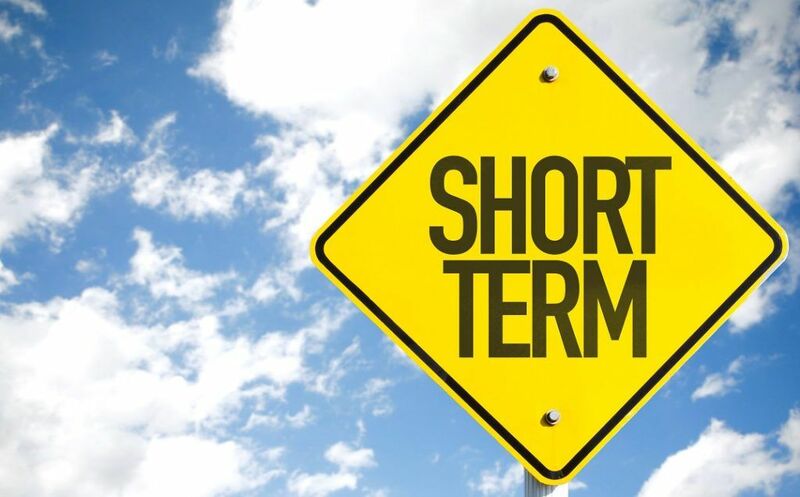 A short term loan is a type of loan that is obtained to support a temporary personal or business capitalCapitalCapital is anything that increases one’s ability to generate value. It can be used to increase value across a wide range of categories such as financial, social, physical, intellectual, etc. In business and economics, the two most common types of capital are financial and human. Examples need. As it is a type of credit, it involves a borrowed capital amount and interest that needs to be returned or paid back at a given due date, which is usually within a year from getting the loan. A short term loan is a valuable option, especially for small businesses or start-ups that are not yet eligible for a credit line from a bank. The loan involves lower borrowed amounts, which start from $100 to as much as $100,000. Short term loans are suitable not only for businesses but also for individuals who find themselves in a temporary, sudden financial problem. Short term loans are called such because of how quickly the loan needs to be paid off. In most cases, it must be paid off within six months to a year and a half. Any loan for a longer loan term than that is considered medium term or long term. The longer term loans can last from just over a year to 25 years. Some short term loans don’t specify a payment schedule or specific due date. They simply allow the borrower to pay back the loan at their own pace. This type of short term loan is actually a cash advance but one that still operates like a loan. As such, the lender loans the amount needed by the borrower. The borrower makes the loan payments by allowing the lender to access the borrower’s credit facility. Each time a purchase by a customer of the borrower is made, a certain percentage of the sale is taken by the lender. A line of creditBridge LoanA bridge loan is a short-term form of financing that is used to meet current obligations before securing permanent financing. It provides immediate cash flow when funding is needed but is not yet available. A bridge loan comes with relatively high interest rates and must be backed by some form of collateral is much like using a business credit card. A credit limit is set and the business is able to tap into the line of credit as needed. It makes monthly installment payments against whatever amount has been borrowed. Therefore, monthly payments due will vary in accordance with how much of the line of credit has been accessed. One advantage of lines of credit over business credit cards is that the former typically charges a lower Annual Percentage Rates (APRs)Annual Percentage Rate (APR)The Annual Percentage Rate (APR) is the yearly rate of interest that an individual must pay on a loan, or that they receive on a deposit account. APR is used on everything from mortgages and car loans to credit cards. Ultimately, APR is the simple percentage term used to express the numerical amount paid by an individual or entity yearly for the privilege of borrowing money..
Payday loans are emergency short term loans that are relatively easy to obtain. Even high street lenders offer them. The drawback is that the entire loan amount, plus interest, must be paid in one lump sum when the borrower’s payday arrives. Repayments are typically done by the lender taking out the amount from the borrower’s bank account, using the continuous payment authority. It is also relatively easy to get a short term loan where everything is done online – from application to approval. Within minutes from getting the loan approval, the money is wired to the borrower’s bank account. This type of loan is done by using a business’ accounts receivables – invoices that are, as yet, unpaid by customers. The lender loans the money and charges interest based on the number of weeks that invoices remain outstanding. When an invoice gets paid, the lender will interrupt the payment of the invoice and take the interest charged on the loan before returning to the borrower what is due to the business. As short term loans need to be paid off within about a year, there are lower total interest payments. Compared to long term loans that take many years to mature, interestInterest ExpenseInterest expense arises out of a company that finances through debt or capital leases. Interest is found in the income statement, but can also be calculated through the debt schedule. The schedule should outline all the major pieces of debt a company has on its balance sheet, and calculate interest by multiplying the paid on short term loans is significantly less. Short term loans are less risky compared to long term loans because of a shorter maturity date. As such, the time it takes for a lender underwriting to process the loan is shorter. Thus, the borrower can obtain the needed funds more quickly. Short term loans are the lifesavers of smaller businesses or individuals who suffer from less than stellar credit scores. The requirements for such loans are generally easier to meet. The main disadvantage of short term loans is that they provide only smaller loan amounts. As the loans are returned or paid off sooner, they usually involve small amounts so that the borrower won’t be burdened with large monthly payments. Short term loans are very useful for both businesses and individuals. For businesses, they may offer a good way to resolve sudden cash flow issues. For individuals, such loans are an effective source of emergency funds. Revolver DebtRevolver DebtRevolver debt is a form of credit that differs from installment loans. In revolver debt, the borrower has constant credit access up to the maximum limit. The borrower can access any amount up to this limit at any time and does not have a specific term to pay the loan back.